Koomson – It's Time to Read! Years later, having led very different lives, Poppy is keen to set the record straight about what really happened, while married mother-of-two Serena wants no one in her present to find out about her past. But some secrets will not stay buried – and if theirs is revealed, everything will become a living hell all over again . . . This story is narrated by Poppy and Serena, who had their lives changed by a man called Marcus. He is a teacher who lets them fall in love with him, and then abuses them. And then he is murdered. Poppy is jailed but is adamant she was not his killer. When she is realised she is determined to make Serena confess, but Serena is trying to keep her past hidden. She is now married with two children – although her husband does not about who she is – one of the “Ice Cream Girls” as the media dubbed them. She is terrified her past, and Poppy will catch up with her and ruin her life. Well I did not like Marcus! As I reflect on this novel that is the first thing that comes to mind. The girls were only 16, and in Poppy’s case, in a very vulnerable place, and he took advantage of them, and then kept them trapped in an abusive relationship. To be honest, he had it coming! As for Poppy and Serena, I just felt so sorry for them. Poppy because she was jailed and because when she was out she struggled to connect with other people; and Serena because she lived in fear and had everything to lose. 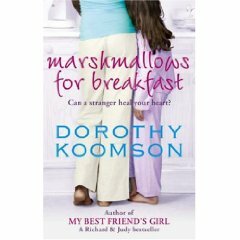 I love Dorothy Koomson. She writes really engaging and entertaining novels. 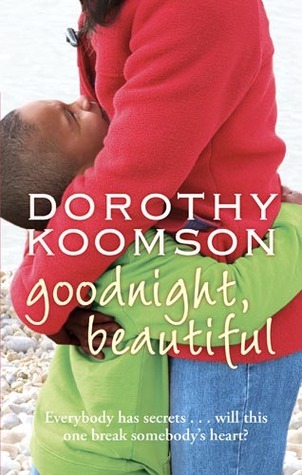 I loved this book because of the crime twist in – the murderer wasn’t hard to guess but I loved how Koomson wrote it. I felt many emotions reading this, which I think is important when reading. I was hooked to the story and it didn’t take long to read. 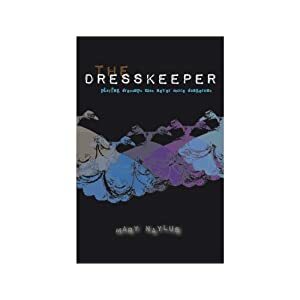 This is chick-lit with a twist and I loved it! What would you do for the friend who broke your heart? Best friends Kamryn Matika and Adele Brannon thought nothing could come between them – until Adele did the unthinkable and slept with Kamryn’s fiance, Nate. Worse still, she got pregnant and had his child. When Kamryn discovered the truth about their betrayal she vowed never to see any of them again. Two years later, Kamryn receives a letter from Adele asking her to visit her in hospital. Adele is dying and begs Kamryn to adopt her daughter, Tegan. With a great job and a hectic social life, the last thing Kamryn needs is a five year old to disrupt things. Especially not one who reminds her of Nate. But with no one else to take care of Tegan and Adele fading fast, does she have any other choice? So begins a difficult journey that leads Kamryn towards forgiveness, love, responsibility and, ultimately, a better understanding of herself. Meet Ryn, an independent woman, who works long hours and parties hard. Living in Leeds, she tries to distance herself from her past and the life she could have had. Two years before she discovered her best friend Adele and her fiance Nate slept together – the result being Adele’s child Tegan. Swearing to never see or speak to either again, Ryn is shocked when she discovers a birthday card from Adele telling her she is dying. After rushing to London, she realises what Adele’s dying wish is – that Kamryn adopts Tegan. This completely changes her life. She tracks down Tegan at Adele’s father’s house, in a shocking state, and leaves with her. When Adele dies, Ryn faces a long struggle alone. She battles with adjusting her life, getting Tegan to trust her, grief, love, Nate and the issue of adoption. 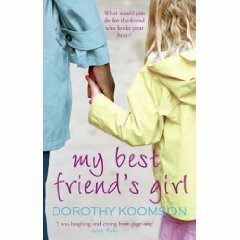 This is the first Dorothy Koomson book I have read and I really enjoyed it. I was drawn in emotionally and didn’t want to put the book down. What Ryn did deserves a medal – she took in Tegan, having not seen her for two years, even though she reminded her of why she left London and why she hurt so much. I loved Tegan, what a beautiful little girl. My heart ached when we first met her and saw the abuse she had suffered, and when she cried for her Mum, yet she was a bubbly and warm girl who you couldn’t help but fall in love with. There are so many issues in this book, and Koomson dealt with them all wonderfully. Death, child abuse, adoption, race and love. I didn’t feel let down by the way she wrote these issues, nor how the story turned out. I think Koomson did a superb job. This is a heart-warming and touching book. I could have cried throughout the whole book. I really enjoyed this book and highly recommend it.